My kingdom for enough money to fly to London and see this live. OK, so everyone under the sun is going to have a review of HP8. I’m going to throw out a few thoughts here and otherwise advise you to read it yourself if you want to have an opinion. I’m going to try not to spoil the plot. First, I did like this a lot. I thought it was very intriguing and well-paced (Act II cliff-hanger, whaaaaaat) with a lot of good ideas. Rowling plays with a lot of themes she couldn’t in the original seven books. What kind of a parent would Harry be and how would he deal with a child both so very different and so very much the same as himself? How does being “the boy who lived” still weigh on Harry? How does the legacy weigh on his children? How do his adult relationships change? Second, given that this is a play there is no narrator unlike the previous seven books. 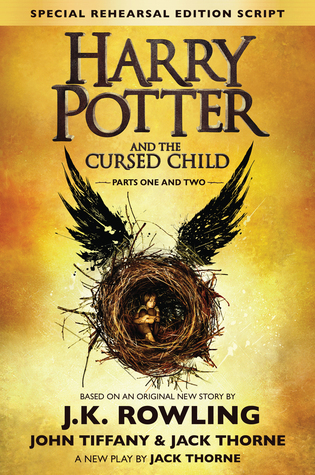 All those books – with the exception of the first chapter/prologue of each – were narrated via Harry’s limited, and often quite biased, perspective. With a play, there is no filter. Each character speaks directly to the reader/audience. And I find that the most interesting aspect of Cursed Child. How would the series have turned out if Rowling had used a different type of narrator or shifted the perspective between characters? Very different, I think. Dear FTC: I bought my copy of this book – OF COURSE – after flying back from Atlanta in the morning and working a release party at the bookstore at night. I missed Yaa Gyasi’s signing line at BEA (rats) but I was able to get approved for an Edelweiss galley and for that I am so grateful (Gyasi will be signing at Prairie Lights in October, yay for Iowa Writer’s Workshop alums). This is a book that will stay with me for a long time. The structure of this novel serves up the plot to perfection. Once Effia and Esi are introduced in adjacent chapters – in settings both sublimely beautiful and terrible – the plot unfolds through two branches of the family tree. Every chapter follows a subsequent generation, alternating branches, Effia’s line then Esi’s line. Reading other reviews, I noted that some readers were frustrated that Gyasi changed narrators so often. Just when we wish to have more time with a character, we jump branches and generations. But I thought this was such a good way of representing the pull of time. The characters cannot go back to have questions answered, to find things that were lost, or make different choices. Time only goes forward. This was especially true for those chapters set among Esi’s descendants who were sold into slavery in the American South – there was no going back to know one’s grandparents, or home village, or ancestral tongue. Brutal. 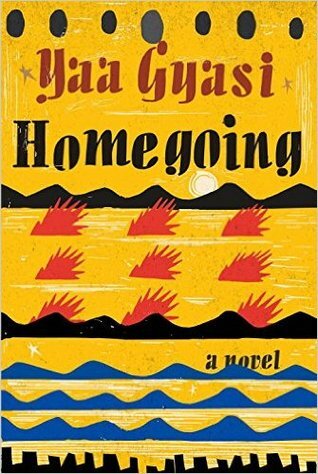 Homegoing is so well-crafted it’s almost unbelievable that this is a debut. This book will break you, in a good way. Keep the tissues handy. 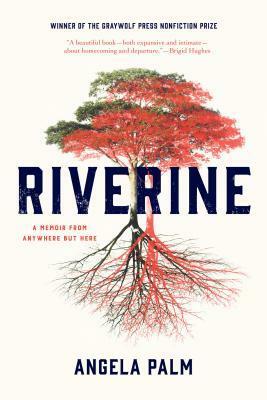 Riverine is defined as something either formed by a river or situated on the banks of a river. In Angela Palm’s memoir Riverine, she begins her story in the house her family lived in as a child, set upon an artificially created bank of the Kankakee River in rural Indiana. Every seasonal flood shows that the river constantly returns to its former banks. Even though her family eventually moves away from that river bank, Palm continually returns to the subject of that house, that river bank. Although she has moved away, finished school, and married, she is struck by the ways that early environment shaped herself as opposed to how it shaped her friend, and first love, Corey. This is a beautiful and evocative memoir. Her exploration of the prison system that Corey inhabits was brief but very well-researched and written. The strength of the writing fades a bit in the last 50 pages but overall it is a very vivid and compelling work. Once Upon a Moonlit Night picks up immediately after Hippolyta Royce leaves the narrative of Duke of Sin on horseback, in the dark, barefoot, and in her shift. Hippolyta intends to catch the post back to London from the local village but is instead picked up by a passing carriage containing one Matthew Mortimer, a world traveler who has recently inherited an earldom, and an animal (no spoilers). After much bickering, some humor, and travelling the two of them make it back to London. This isn’t a perfect novella – Matthew is kind of a jackass when he appears and there’s a secondary mystery that isn’t necessary. But this is a sweet story. If you’d thought there was a bit of wrap-up missing from Duke of Sin (as I did) this will take care of it. I do wish this was a full novel since I think there’s more to flesh out in Hippolyta’s story. 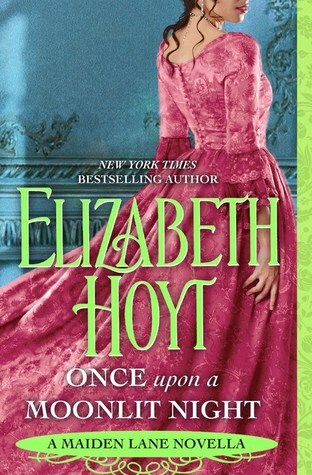 She’s a biracial heroine in a historical romance (her mother is Indian) and I feel like she got short-changed. Also, petition to have D’Arque’s granny in more books. OK, so, here’s the deal. I love Terry Tempest Williams, like love, Terry Tempest Williams. If you have not read When Women Were Birds you need to remedy that immediately. 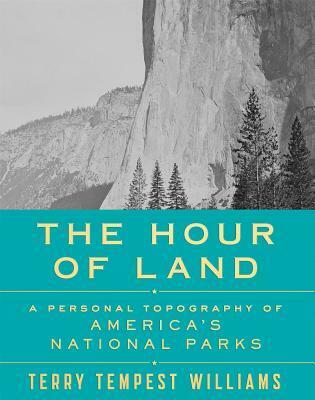 I was completely not worried about whether The Hour of Land would be good or not. I had no worries. I was more concerned with having enough unbroken time to put The Hour of Land into my brain. Oh, it’s so beautiful. The book itself is a gorgeous physical object. And Terry’s writing is wonderful. This is a beautiful, personal, and wide-ranging call to action to save our national parks and monuments from predation by industry, thoughtless people, and cultural insensitivity. Her writing moves from personal essay, to epistolary, to journalism all in one book. (I will be in Atlanta when she reads at Prairie Lights and I am extremely sad about this.) I was really excited to see that Terry visited Effigy Mounds, which is in my state, and I am long overdue for a repeat visit there (last visited in middle school). So this is a very short review to say go buy this and put it in you face immediately! Dear FTC: I purchased my copy of this book because OF COURSE.